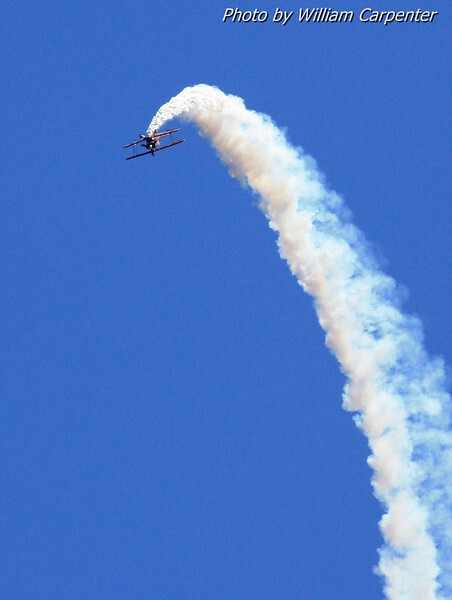 Will Allen, "The Flying Tenor", flys his aerobatic Pitts biplane. As usual, Will sang the national anthem while flying aerobatics to kick off the day's air show. This was my first time seeing Will flying the Pitts instead of his usual Super Decathlon.